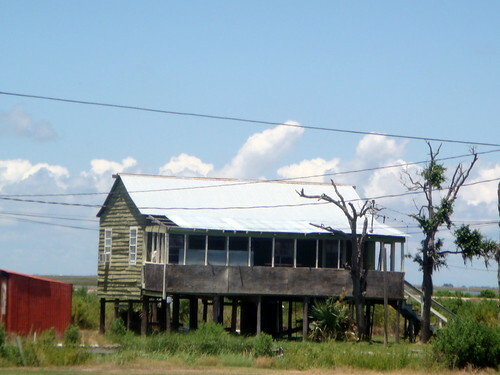 Isle de Jean Charles lies 80 miles southwest of New Orleans and is home to Cajuns and members of the Biloxi-Chitimacha Tribe, related to the Choctaws and part of the larger Federation of Muskogees. The island was battered by 9 foot storm surges during hurricanes Gustav and Ike and the majority of homes have not been rebuilt. The sensee of pride in the small community remains strong.